The Green Party has released a costed policy manifesto, highlighting the costs of already-announced policies and potential new revenue streams including from a capital gains tax (ex-family home) and a new 40% income tax rate. Meanwhile, National has set out its economic plan, drawing together a set of already-announced policies including its families income package, a promise to repay government debt further below 20% of GDP, and a warning that a Labour-Greens government would be a big change in direction. Jacinda Ardern spent Tuesday morning  defending Labour's water tax, continuing to run the line that farmers should pay for water use but that other commercial water users like Coke won't be covered because they "already pay". This is wrong - Coke pays a commercial rate for water delivery, not for the actual stuff itself; and farmers also already pay for water delivery costs - yes, some are subsidised and Labour wants to get rid of the Irrigation Fund, which in itself would even up the playing field. Ardern is in Wellington today to talk about healthcare and to meet students, representing Labour's desire to keep the talk this week centred on health, education and housing. National Health spokesman Jonathan Coleman's Tuesday morning interview on RNZ  about prostate cancer treatment delays  in the Southern DHB provides the rationale for trying to keep the focus on this topic. Bill English is continuing National's tour of the regions, in Blenheim today to talk tractors and food production. Winston Peters is taking aim at Labour over the water tax issue, saying on Three's AM Show  that a vote for NZ First is a vote against the water tax. He also used the opportunity to take aim at the Maori Party, which is hanging in there as a possible alternative Kingmaker, or at least a second-Kingmaker (ie National and Labour might be requiring both NZ First and the Maori Party to be in the tent together to be able to form a government, on some polls). Reports indicate he got a pretty frosty reception from a largely-National-leaning crowd in Morrinsville yesterday. The MANA Party has sought to remind everyone that Hone Harawira is still around, and running in Te Tai Tokerau. It sent out a PR calling for Maoridom to allow the MANA-Maori Party alliance to be the key broker for building a government. Auckland's fuel crisis could be make or break for the National-led government, the Herald opines this morning , as reports now start to emerge of fuel shortages at Auckland petrol stations. Z Energy has said it was prioritising delivery of 91 octane petrol over 95, meaning four stations in the city had run out of 95 yesterday. "There may be a few more today but all grades of fuel are being trucked into the city and there is no cause for concern," the company said. About 90% of vehicles can run on 91, Z reminded people. Flights continue to be cancelled (including mine to Auckland on Wednesday before the final TVNZ leaders' debate - found another way up, though). Air NZ sent a note to its customers last night saying, "this issue is beyond Air New Zealand’s control and we are extremely disappointed that this key infrastructure failure is now impacting on our operations..."
Refining NZ says the pipeline fix is on track and they are expecting to be able to deliver jet fuel into Wiri from Marsden Point down the line sometime between the 24th and 26th of September. A further 30 hours will be needed to allow the fuel to settle, recertification and transport to Auckland Airport itself. Leaky homes are back in the headlines. RNZ has been running a series of reports  this week on Aucklanders still facing great financial hardship from the crisis. Reportedly, Nick Smith has said he'll look at extending a government loan package for remediation work - we've asked for clarification on this. Despite all of the above, most of the nation's attention still seems to be focussed on the result of a reality TV show which indicates the Auckland housing market has flattened (Bill English is happy). I have to say, I didn't watch it as I can't stand The Block or pretty much anything else aired on weekday evening free-to-air TV in this country. Having said that, who do you think should have won? And do the prices paid really tell us anything? The Greens' fiscal plan  included a nod to the party's Budget Responsibility Rules that they would aim to reduce net government debt to 20% of GDP by 2021 and run surpluses when in government. James Shaw was tackled on this during a leaders' interview on RNZ last Friday , with it put to him that the Greens and Labour would be running a tighter ship than 'neo-liberal' champions Roger Douglas and Ruth Richardson. Shaw's response was that those were different economic times. It was an interesting exchange, following on from former PM Jim Bolger's comment earlier this year  that the neo-liberal project had failed in New Zealand. It has also begun to be picked up that the Greens would push for implementation of a capital gains tax (ex-family home) during the first term of a Labour-led government. You can read his comments on that in our interview with him last week . Capital gains tax, and "a proper price on emissions" are the two big revenue policies Shaw would like to push during a first term. The Greens' costed manifesto release is below. Infometrics did the work for them, based on costings provided by the Greens. “This fiscal plan ties together everything we’ve promised this year and provides the substance that makes the Green Party’s promises 100 percent credible,” said Green Party Co-leader James Shaw. “Our three priorities during this election campaign have been climate change action, ending poverty, and cleaning up our rivers, and the plan I released today lays out in detail how we will achieve those goals in government. “In government, the Greens can be trusted to know what we want to do, how we will do it, and how we will pay for it. “Think of this as a solid business case for where New Zealand should be heading, and an independently audited plan to get us there. “The operating allowances and significant surpluses forecast under our plan will provide plenty of elbow room to meet new challenges as they arise. “All political parties should submit their policy manifestos to independent economists to be costed, as the Greens and Labour have done, which is why we’ve proposed an official Policy Costings Unit that would do exactly that,” said Mr Shaw. National has released its five point plan for the New Zealand economy and our tax system, designed to deliver sustained economic success and help families and businesses get ahead, Finance spokesperson Steven Joyce says. “Under National New Zealand will have a stronger economy that works with Kiwi businesses and not against them, so we all succeed,” Mr Joyce says. "We’re focused on increasing the rewards from work by reducing taxes so that families keep more of what they earn. 1. Build surpluses and pay down debt - National will reduce net debt to around 20 per cent of GDP in 2020 and to between 10 and 15 per cent of GDP by 2025. Now is not the time to increase debt as other parties are planning, we should be saving for the next rainy day. 2. Raise family incomes - our Family Incomes Package means 1.3 million families are better off by an average of $1350 a year from 1 April 2018. National will introduce a second Family Incomes Package in 2020, subject to economic conditions at the time. 3. Invest in public services and infrastructure - National will commit to the budget allowances laid out in the Pre-election Fiscal Update and invest in new schools and hospitals, cheaper doctor’s visits, and transport and broadband projects throughout New Zealand. Our social investment programme will help vulnerable New Zealanders change their lives. 4. Keep simplifying taxes - we’ll roll out real time provisional and terminal tax for all businesses, and we will overhaul tax settings on multi-national companies to ensure everyone pays their fair share. 5. Support business confidence – we will maintain our broad-based tax system which is fair to all businesses. We will not introduce new taxes as the opposition parties propose nor will we increase uncertainty and slow the economy with long discussions about new capital gains taxes on small businesses or farms. Mr Joyce noted there are big differences in the economic policies being offered by Parliament’s main parties in this election. “Labour and the Greens in particular propose a major change in economic direction,” Mr Joyce says. "It is not just in tax, but also in their plan to increase spending, increase debt, make big changes to industrial relations and trade policies, and their big migration changes. “The Labour Party leadership have acknowledged the strength of the New Zealand economy. They need to explain why such major changes in policy are needed or justified. National’s five point plan can be found at www.national.org.nz/tax_finances. We haven't paid much attention to Hone Harawira's MANA Party this campaign - although we did note a few months ago  that Harawira winning Te Tai Tokerau over Kelvin Davis would effectively help allow for a Labour-led government. Now that Davis has become the only existing Labour Maori MP to be put on the party's list, it will be interesting to see whether Harawira's call for a 'two-for-one' deal in the electorate will be listened to by voters there. Remember, the Maori Party is not standing in the seat to give Harawira a better chance. In exchange, MANA is asking its supporters to back the Maori Party candidates in the other six Maori electorates. It might be working in Te Tai Hauauru, with the Maori Party candidate in front of the Labour incumbent. Te Ururoa Flavel also looks safe in Waiariki. The kawenata between the MANA Movement and the Māori Party in February this year showed political maturity by signalling their willingness to put their 2011 differences aside to work together for the good of MĀORIDOM. Tukuroirangi Morgan effortlessly wove together both organisations for the sake of Kotahitanga and the survival of the two near like minded rōpū. The shared tikanga and responsibilities to Māori people are more binding than the positions that set them apart. It is important to note that John Key’s manoeuvre to bring onside three minor parties to ensure a majority government was a clever move in the MMP environment. This will be a minimum requirement for future governments to take on board- a kaupapa Māori relationship. Yes , major parties could listen to their own Māori MPs- but history shows they don’t otherwise the Foreshore and Seabed Act would never have gone ahead. Yes, we also accept the heartfelt apologies of all former Māori Labour MPs who voted for the FSSB. Both MANA & Māori present an opportunity to create a bigger Māori bloc in the parliamentary arena in the upcoming election. The outcome of September 23rd will determine the future of the relationship between MANA and Māori. The big question – is Māoridom ready to see MANA - Māori as the key brokers for building a government? Most commentators always default to the 2 big players. But actually the smaller friends network are able to cobble together partnerships to influence political direction. The Takutai Moana – foreshore and seabed debacle is about to be replayed in the Wai domain. The same arguments from 2004, are being echoed in the debate “who owns the water?” National says “no one “ owns the water, Labour says “everyone “owns the water, MANA – Māori say “Māori” own the water. Watch this space. This election has been incredibly tough on Māori MPs. Hone Harawira, has built an admirable campaign from scratch and with nil resources from outside parliament. The Ture Whenua amendment campaign created angst in the Māori psyche and admirably with relief it was lifted by Te Ururoa but it will have cost some votes. Under Andrew Little, the first Māori MP in Labour’s line at number 16 was lawyer Willow Jean Prime. Labour’s Māori Campaign Manager Willie Jackson was able to secure Kelvin Davis to number 2 on the list, to appease some public ill feeling about the demotion of their Māori MPs. Let’s hope it is not a temporary move just to get through the elections. Metiria Turei a very popular Māori woman leader was ousted by media trial following an admission she flatted with friends while on the benefit. The boys were ok, both Bill English and Winston Peters reimbursing the overpayments, one challenging court action on a snitch. Mika from TOP would have been the best advocate in parliament for fighting youth suicide but unfortunately some internal selection panel relegated him 10th. Regardless of the outcome between the major parties this Saturday MANA- Māori will need to consider their ongoing relationship with each other, their succession plans, the role and input of youth and women, a constant and relevant media arm to inform Māoridom of the gains as well as networking with other Māori and awesome MPs in mainstream parties. MANA-Māori movement must be listening to the people all the time. Multi levels of poverty cause all kinds of grief in our communities. Reo and Tikanga Māori will heal some of the disconnectedness our people suffer. Solutions from the people have greater momentum than those imposed from bureaucracy. Continue the dialogues. However you still have to ask, why do Māori default to the big parties? 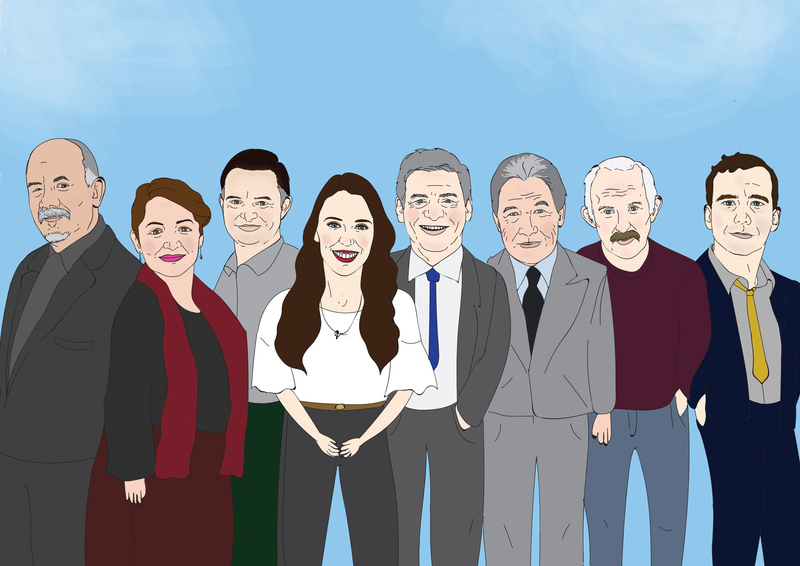 Why do political commentators suggest MANA- Māori is an appendage to Labour or National? Worse, why do we Māori swallow the rhetoric? At the end of the day, we will have to weigh up the short and long term outcomes.